Stiff competition in the market and increasing demands for MBA professionals has changed the way the professionals looked at the employment industry. Employers certainly wish to hire individuals who can benefit their businesses. Preference is certainly given to those with good educational background and his/her association with the brand name when it comes to employment. With the increased number of students and professionals pursuing distance MBA courses, the task of employers has become tougher. The article explores the outlook of employers towards the candidates holding distance MBA degrees and some of the facts about Distance MBA. Are you happy in your job? Or want to pursue some higher education, say a management course to grow in your career? These are certain questions, which sometimes at one stage of his/her career, every individual thinks of! These days distance learning MBA courses have been on sprawl, with more and more professionals opting for such courses for a stable career growth, but the question now arises? Do the employers value professionals who hold a Distance Learning MBA degree? Do these professionals/students compete with those who hold a regular MBA degree in hand? The answer to such questions lies in the fact that how much the company is in the need of a professional like you and how much experience you already have before you opted to pursue distance MBA. For some of the higher profiles, the companies certainly prefer hiring students graduating from top ranking B-schools, but if not the case, most of the employers do not even care about from which university or college you have graduated! Nevertheless, in today’s competitive world, choosing Distance Education MBA programs have started to become a necessity. There are certain instances when you do not wish to leave your job and want to continue it along with the course that will be helpful for your career. Whatever is the reason, the most haunting thing for the students is that if the courses done through correspondence will be recognized? The truth lies in the fact that not everyone can afford the fees of management education and can spare two years for a full-time MBA program. Professionals having family issues or other commitments also are not left with other options than choosing a distance MBA program. In such cases, distance learning MBA courses emerge as the most promising and best possible option. Who get enrolled to distance MBA courses? Most of the students getting enrolled to such courses are B. Tech and software engineering graduates. Usually, such students do not have much exposure in the diverse fields like that of business and finance, and these courses help them to gain the market exposure and also knowledge about the trends in fields like finance, international business, HR, marketing, among others. According to an approximation, around 30% of graduates tend to change their jobs as soon as they complete their distance MBA, while 40% level up in the same company. How employers look at this! Usually, the attitudes of employers to distance MBAs are mixed. May be because of their low awareness level or because they have already hired their employees from full-time or executive MBA courses. It is a trend that the employers usually hire the individuals with distance MBA programs who are very much Internet orientated, are working in e-commerce space, or they are considering professional services for start-up their businesses. Such companies consider hiring employees who are not only technically savvy, but also have certain skills that keep them standing apart from the traditional peers. After completion of such programs, the students certainly cultivate skills and habits, such that they can assure of employee engagement at the professional levels. 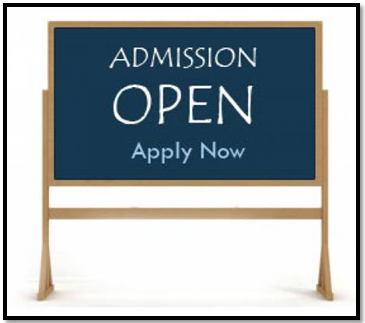 If you are someone who has completed a distance MBA from a recognized institute, then you certainly have the advantage. You must have done all your studying online or with books without attending a proper classroom. The employers consider such students as highly competitive, self-motivated, focused and disciplined. Surprised! But this is a fact! Every employer considers such qualities if you aspire to become a leader! After all, you have proved your capability to learn things and complete a challenging task without any recognizable help! This is the reason why you need to be extra careful while choosing your Distance MBA School. It doesn’t matter if the fees are comparatively higher, the outcome will be certainly highly rewarding in future! Bear this in mind that Specialization is the Key! Here are certain facts about distance MBA programs and employment! 1. Only legitimate degrees are accredited. If the degree you are about to pursue isn’t recognized from the Distance Education Council (DEC), then it’s of no use if you are considering employment with good brands. 2. Employers accept distance MBA degrees from accredited schools. 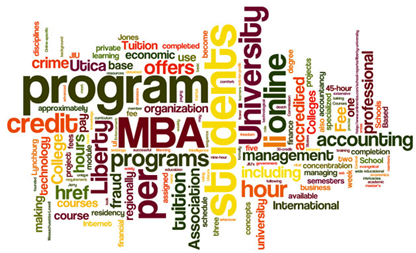 The employers have started considering distance MBA equally as the traditional degrees. 3. Distance MBA IS effective. The professionals who take up distance MBA programs are considered to be more performing than their traditional peers. 4. All distance learning schools are the same, a myth! This myth needs to be debunked as soon as possible. 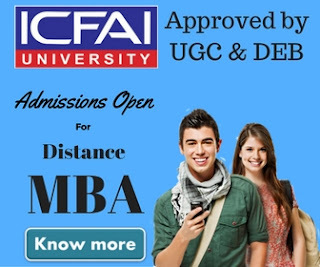 A distance degree from Indira Gandhi National Open University (IGNOU), ICFAI Centre for Distance Education, Xaviers Labour Resource Institute (XLRI), or Symbiosis Centre for Distance Learning (SCDL) will certainly be better than that obtained from an unknown organization, which is not even regionally accredited. 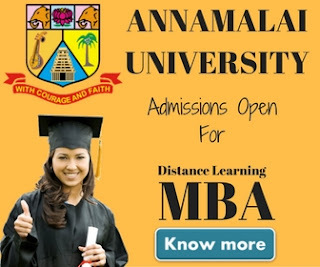 On a concluding remark, if you wish to earn an MBA degree while pursuing your job, then distance MBA courses can prove to be a blessing in disguise. Do not worry about getting employed with the good names in the industry, if you are skilled enough, have a strong educational background, and an exceptional employment record, then you can nail it! Be assured of your skill sets and conduct proper research before getting enrolled to your course of interest at any institute. Keep this in mind that “Brand gets priority”. So when you have to choose your distance MBA School, go for the best one!